ABOUT "So, what's this all about, anyway...?" is an entertainment development studio in North Hollywood CA, which provides conceptual story, scripting and illustration services to clients in the motion picture, television, and theme park industries, and also develops and produces original interactive online entertainment environments. Cinematic, Kinetic, and Interactive Media entertainment projects right now. Like to know more about Johnny Curtis & Curtis Amusements? The Links below should be helpful. You can also find additional site information on our FAQ and Viewing Guide Pages. If you have questions or wish to send us your comments, please make contact anytime. This is the 'cut-to-the-chase' text page around here. Of course, we think you'll find this site's other features more vividly indicative of what we're up to, but, if you would like to know what's going on here in black and white, so-to-speak, this is the place to be. This site offers several different kinds of content, but basically, it's divided into two categories: Original Interactive Entertainment, and Creative Development Services. It's also a way for you to get to know who Johnny Curtis is, and to see what he may be able to do for you. Are you looking to develop or purchase Feature Film or Television projects, or in need of script writing or polishing? Johnny has written for major studios and networks, is a member of the Writer's Guild of America, and his treatments, teleplays, and screenplays have earned praise from professional producers, cast and crewmembers, and Daily Variety. Is your business Themed Entertainment? Johnny will be glad to refer you to some very popular multi million dollar rides, now playing on three continents, which were first conceptually brought to life through detailed scripting and storyboard development in his Hollywood, California studio. Could it be you're also looking for Voice-Over performance and scripting? 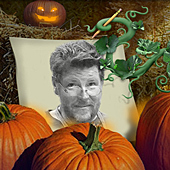 An accomplished dialectician who has produced, directed, and acted in many live theatrical productions from an early age, Johnny can bring your characters to life with accents ranging from British Tars to Russian Czars, has tackled French rogues and Scottish brogues, and currently voices the singing "Crumpkin's Pumpkins" -- all baker's dozen of them. You'll find several examples of Johnny Curtis' VO performance work throughout this website, or if you prefer, a demo CD may be obtained by email through our Receptionist. CA is also happy to build you (or your business) your own Website, if you wish. is ready when you are. We appreciate your interest in our Projects, Properties and Services. Please use our Reception link above to email us. Let us know how we may be of service, and we will respond to you shortly. . .
Johnny's clients include Paramount Pictures, Warner Brothers, Universal Studios, Landmark Entertainment, Sony, NHK Television, Entertainment Design Workshop, ShowScan, SimEx, Iwerks Entertainment, Emotional Response, Inc., The Sci-Fi Channel, and others. Johnny has done story development for, and / or optioned original screen stories to, independent producers, directors, and actors, some of whose credits include "Terminator 2", "True Lies", "Behind Eneny Lines", "Sahara", "Top Gun", "Tombstone", "Hooper", "Smokey and the Bandit", and "Brainstorm", and has adapted the literary work of Sir Arthur C. Clarke, author of "2001: A Space Odyssey", with that author's expressed approval. Through this website's diverse Dimensional Links you'll find many related show credits, along with other pages featuring many of Johnny Curtis' original entertainment properties.
" -- of thrilling, amusing, terrifying, enchanting, rocking, rolling, dazzling, and otherwise engaging and entertaining as many sentient (or quantifiably conscious) lifeforms as possible." And that pretty much remains the Mission Statement. was founded on July 19, 1999. TV & theme-attraction writer Johnny Curtis' reason for establishing the business was to showcase his and his partners' original creative content, as well as continue to offer conceptual development services to studios, entertainment executives, and producers to help them further their own projects. Over time, Johnny's other founding partners took on a more technical role in expanding Cosmic Associates' interactive website, as well as focusing on related IT, merchandising development, and other business concerns. Thus, "Curtis Amusements" emerged as a Cosmic Associates subsidiary, then as now, the entertainment and conceptual content developer of the original enterprise. So, whether you're here to enjoy Johnny Curtis' original online entertainment features, or you're looking to acquire original entertainment properties, or you're seeking services to help you with the conceptual realization of your own entertainment project, you're encouraged to explore this site. Please free to make contact if CA can be of service to you or your business. Your comments and suggestions are welcome. Okay. So what exactly does that mean? ready for blast-off on Cape Imagination's smoldering launchpad! Plus a few choice Credits to back that up. Check 'em out, and see for yourself. Perhaps you would like to engage our conceptual services on behalf of your own special project? Hey, we're ready when you are. Outstanding Carbon/Oxygen -based Creative Development Resources! Free 4th Dimensional access for Preliminary Consultation! (d) or, All of the above combined (which includes eggroll). Because Johnny Curtis creates successful entertainment. And whether that includes conceptualizing it, developing it, designing it, or performing it -- in Motion Pictures, Themed Entertainment, Live Theatre, and CyberSpace -- the original content and development resources he brings to the table benefit from the kind of sink-or-swim acumen that lifelong experience with live Audiences keenly sharpens. This cumulative experience adds up to hone performance timing, and cultivates a genuine understanding and empathy with Audiences that makes a real difference in developing and realizing engaging entertainment in all mediums. That being said, who will you feel confident you can trust your creative development needs to? Someone whose comprehensive experience in relating to an Audience only means they can say they've been a member of one? Or -- someone who knows what it is to face ticketholders eager to be entertained; an experienced performance artist who has looked unflinchingly into those expectant eyes, and successfully bridged that span between the curtain's rise and fall. A theatrically-seasoned performer, whose experience ranges from Shakespeare to Simon, and who has often created on-the-spot characterizations in intimate one-on-one theme park and street theatre encounters, where there's no proscenium to hide behind? There is no superior substitute for this kind of c.v.
And certainly an early applied background in feature film effects and special fabrications, at the highest IATSE classification*, adds valuable hands-on knowledge of the practical feasibility of studio production requirements: Johnny Curtis' performance and technical experience includes on-camera puppeteering, real-time physical effects, and sophisticated photographic fx work on dozens of commercials, prime-time television shows & major motion pictures. A few examples may be viewed HERE*. These days, entertainment flourishes in many forms, and live interaction with an Audience in a traditional sense is only one of them, but whatever medium is engaged to reach out to them, an Audience remains an Audience, be it hundreds gathered in a theatre, or thousands watching the cinema or television, or the individual interacting with the World Wide Web. 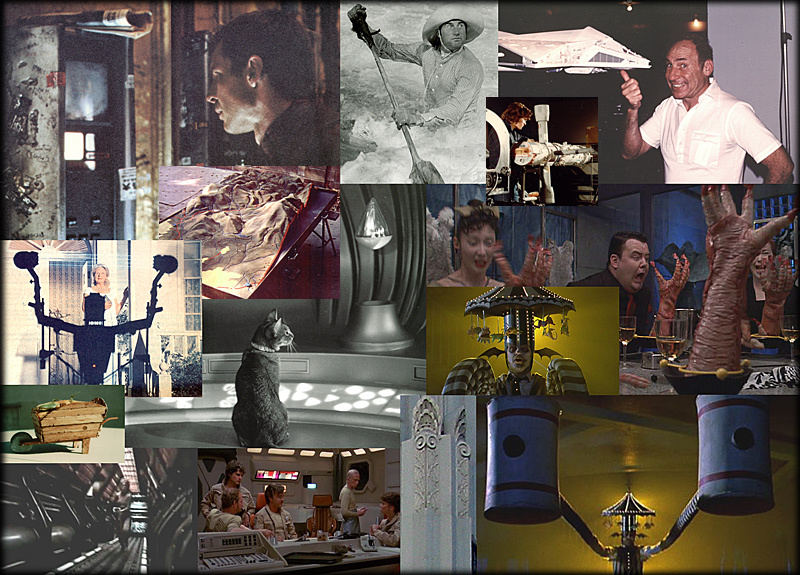 And from barn stages to soundstages, from legitimate theatre to virtual environments; with awards won for excellence in live performances; with creative technical experience on dozens of feature films and commercials; with the proven capability to render the key conceptual scripting of many successful motion based attractions and themed environments, Johnny Curtis consistently provides Audiences with the satisfying and successful entertainment experience they're seeking. Because Johnny Curtis knows how to earn the sound of applause -- and has earned applause for his Clients. While he's no longer an active member of the I.A.T.S.E. (Local 44, Group One, Prop Shop), Johnny remains proud of the work he has done at several Hollywood studios, before he became a full-time writer and member of the WGAw. originates creative content for the entertainment industry. Thanks for reading about why we're here - now come have a look around, and allow us to show you just how entertaining this site can be. 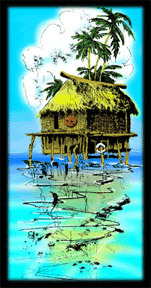 All Screenplays, Treatments, Synopses, Outlines, and other original Literary and Virtual Entertainment Properties presented in this Website are Registered with the WRITERS GUILD of AMERICA, West, and the Library of Congress; All original story content, characters, layout, titles & other graphics design are the intellectual property of John Vincent Curtis and / or Raymond P. Avery and / or Arlington Hughes, and are Copyright © 1999-Present, Curtis Amusements / Cosmic Associates, Johnny (John Vincent) Curtis, Raymond Avery, & Arlington Hughes. All Rights Are Reserved by the owners; no portion of this Website may be copied or distributed without the express permission of Johnny Curtis, Ray Avery, Arlo Hughes, or their immediate assigns.